LAPD homicide detective Harry Bosch investigated his mother’s murder for years, but was unable to bring the killer to justice in the end. The ugly truth behind that case has only left him more tense and restless. Bosch’s teenage daughter, Maddie, has come to live with him and ushered into his personal life the everyday responsibilities of being a single father. Bosch remains a tenacious cop who struggles to attain justice in an imperfect system; a system in which the guilty sometimes go free, and marginalized and forgotten victims become anonymous statistics. Now, between the murder of a homeless veteran, the slaying of another man tied to several unsolved homicides, and a high-profile murder trial involving a Hollywood director, Bosch has taken on his most formidable cases to date. 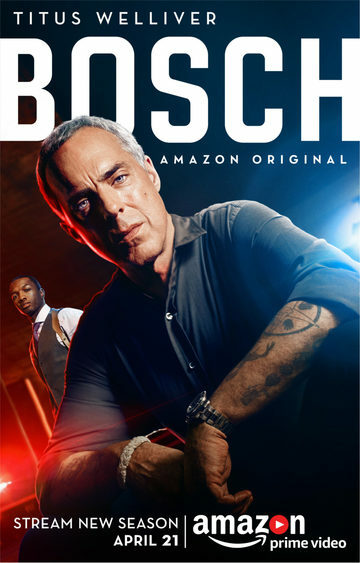 Based on Michael Connelly’s best-selling novels The Black Echo and A Darkness More than Night, the third season of Amazon Prime Video’s streaming hit Bosch promises to be the most compelling yet.